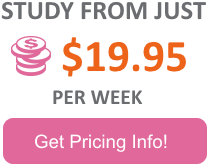 Eyelash Extensions Courses, a subsidiary of Beauty Courses Online was established to offer online eyelash extension courses to people from all around the world. 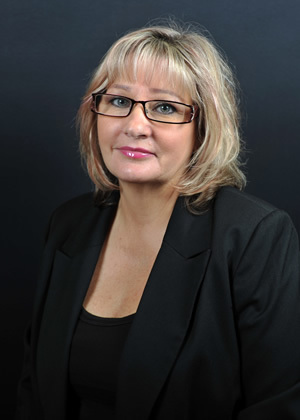 The courses are under the tutorship of Karen Harrington, a veteran and professional beauty therapist with over 30 years of experience, she has successfully trained amateurs to become beauty experts in all areas of beauty. The beauty industry is experiencing an incredible growth with a rising demand for the services like Eyelash Extensions. These courses were designed to make your dreams of becoming a lash expert possible no matter where you are from. We offer online Skill Building Courses (giving you the skills to enter the industry) and Advanced Courses (Covering Volume Lashes and more). Eyelash Extension Courses by Beauty Courses Online offers the most comprehensive, detailed and yet easy-to-understand lash courses and tutorials. Our aim is to empower all lash enthusiasts to be the best eyelash extension technicians they can be. Each of our online courses has been beautifully designed by Karen to help you master the art of applying different eyelash extension stylrd to become an expert in no time. She created these courses to fill the gap and fast-track the process that traditional beauty schools and salons were incapable of filling. Because of the rush with which most lash professionals teach students in their academy and salon, Karen created video tutorials that will enable you to learn at your own pace, view the procedures as often as you want until you are confident enough to put it into practice. Eyelash Extension Courses spent a lot of years filming and editing our courses and videos to ensure our students get the best skills possible in the fastest time they can. You will even find case studies where we make intentional mistakes to show you issues that may arise and how you can fix them. Other online eyelash courses will mostly show how to apply eyelash extension but not show you what could go wrong. This is why we are different and why our students can’t stop praising us. When you enroll in any of our eyelash extension courses, you will have instant access to Karen and her team where you can ask questions as often as you like and receive very detailed answers every time. This “student only” online support will still be available to you even when you have completed the course. Our goal is to help you build a brand as a lash expert that you will be proud of. The courses will provide you with a solid foundation in lash extension application, and will also show you the best products to use and where to buy everything you need at competitive rates. Not only will you get the best training with Eyelash Extension Courses, but will also be updated with new techniques in lash extension application and care as they evolve. Eyelash Extension Courses specializes in offering eyelash extension courses and videos only. With that being said, we focus all attention on you. 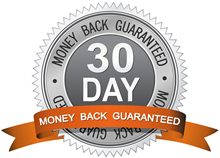 We are so confident about our courses that we offer a 30-day money back guarantee if our courses do not meet up and exceed your expectations. With Eyelash Extension Courses, you get to step into the world of lashing and own it!